Three-row crossovers are perfect for families who need a minivan but don’t want to drive a minivan. They can seat up to eight people and haul tons of cargo, but the also have great off-road capability. 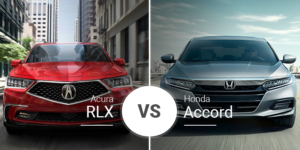 The 2019 Honda Pilot and 2019 Toyota Highlander fit this description perfectly, but which one is better for our Rochester area car shoppers? Find out below. 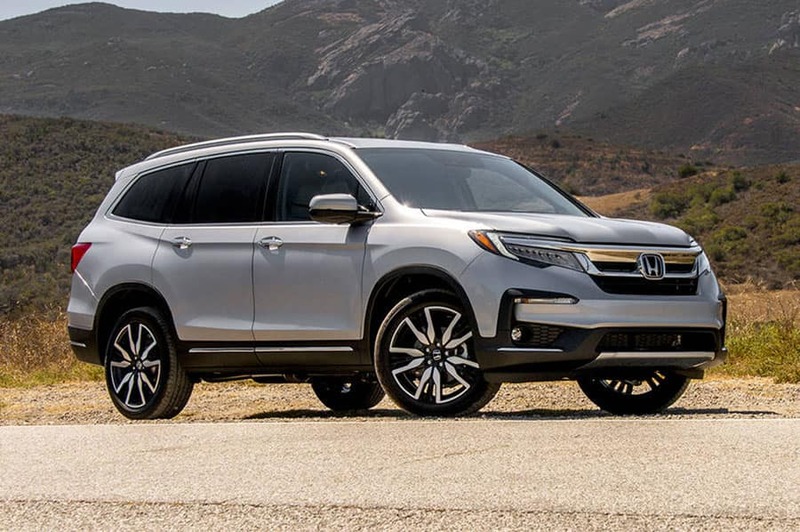 The Honda Pilot went through a full redesign in 2016, and a light refresh in 2019 modernized its front and rear ends. Today, it remains one of the more moderns three-row crossovers on the market, as this segment tends to move slower than the smaller models. 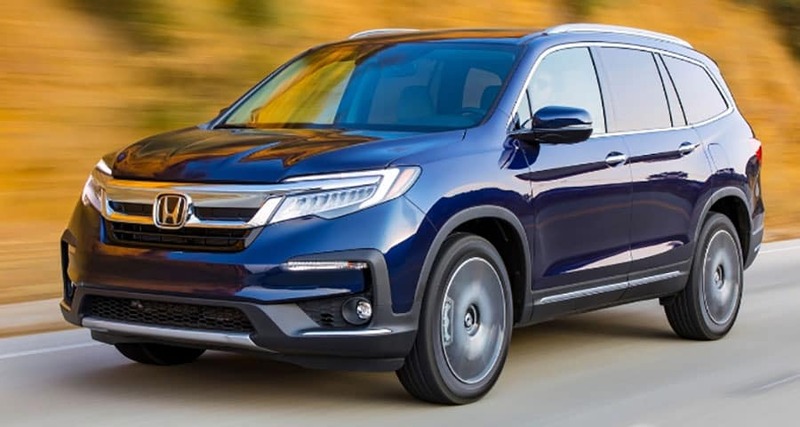 In terms of features, the 2019 Pilot ranges from well-equipped with standard 18-inch wheels, LED lighting, and tinted glass to near-luxury with its optional 20-inch chrome wheels, leather upholstery, and rain-sensing wipers. The current-generation Toyota Highlander hit showrooms in the 2014 model year with refined styling and went through a tiny refresh in 2019. Though it is older than the Pilot, the Toyota Highlander is still plenty modern for most buyers, but its big difference is it looks more like a traditional SUV than the Pilot. Its exterior equipment is similar to the Pilot’s, so it also ranges from well-equipped base model to near-luxury in its Limited trims. The Highlander adds an extra wrinkle with its sporty-looking SE trim that includes darkened accents and wheels. 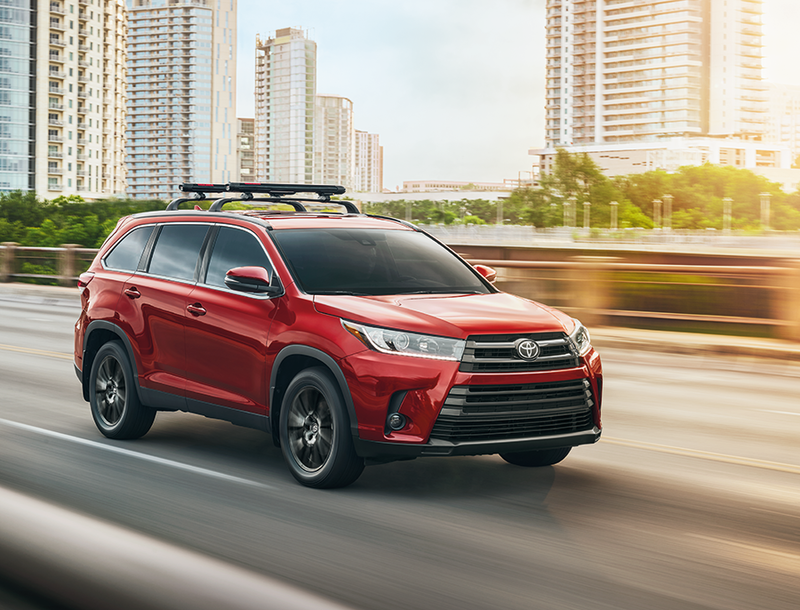 In terms of size, the 2019 Highlander is smaller in every dimension except weight and ground clearance. The latter makes it more off-road-friendly. Inside, the 2019 Honda Pilot boasts one of the most modern cabins in the three-row crossover market. It all starts with a shapely dash with horizontally oriented climate controls that visually widen the cabin, and continues with its push-button transmission that makes it feel more airy and spacious. 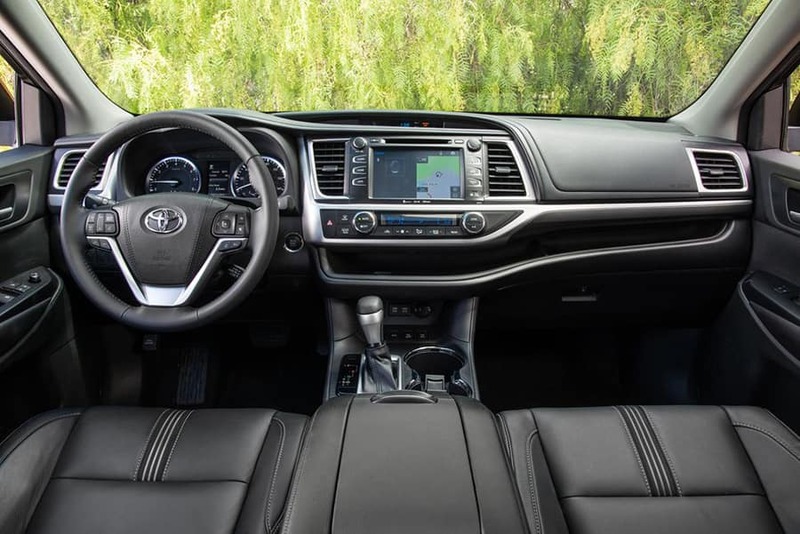 The 2019 Toyota Highlander looks more traditional with its more upright design that includes larger climate-control knobs and squared HVAC vents. In terms of features, the Highlander has a larger 6.1-inch touchscreen. When it comes to available features, the Pilot and Highlander both offer loads of premium features, including 8-inch touchscreens, navigation, ventilated seating, and more. 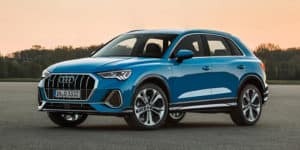 Crossovers, particularly three-row ones, have an array of engines, ranging from thrifty four-cylinder engines to rumbling V-8 options. The 2019 Honda Pilot uses a standard 3.5-liter V-6 engine with 280 horsepower and 262 pound-feet of torque to zip it to 60 mpg in just over six seconds. It can also tow up to 5,000 pounds with all-wheel drive. The 2019 Toyota Highlander uses a standard 2.7-liter four-cylinder engine with 185 horsepower, but that is only available in its base LE trim with front wheel drive. The four-pot setup can tow just 1,500 pounds. Most 2019 Highlanders will come with a 3.5-liter V-6 engine that cranks out 295 horsepower and tows up to 5,000 pounds. This powertrain sprints the 2019 Highlander to 60 mph in a respectable seven seconds. While neither crossover is a performance machine, the Highlander SE has a sport-tuned suspension that can handle the twisties a little better. The 2019 Honda Pilot has five trim levels — LX, EX, EX-L, Touring, and Elite — and their starting prices range from $31,450* to $48,020*. 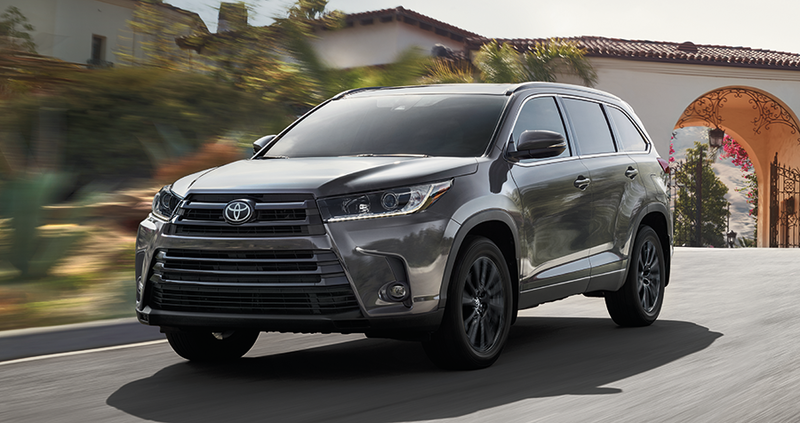 The 2019 Toyota Highlander has six trim levels: LE, LE Plus, XLE, SE, Limited, and Limited Platinum. Their base prices range from $31,530 to $45,750. Who Should Buy the 2019 Honda Pilot? Need all the room you can get and premium features to go along with it? The 2019 Honda Pilot is the three-row crossover for you with its roomy rear seats and larger cargo area. 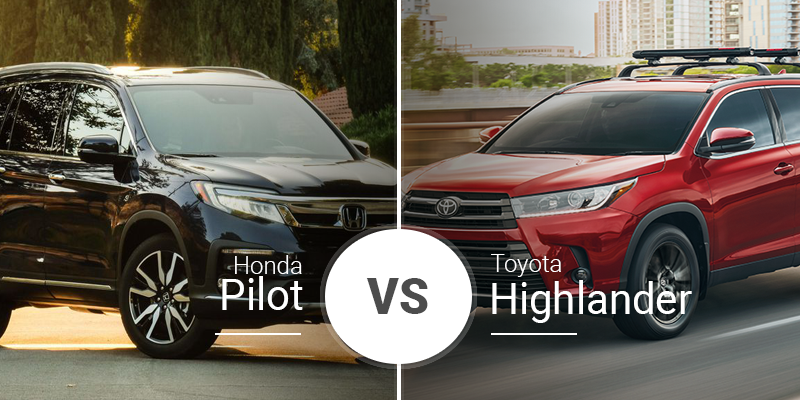 Who Should Buy the 2019 Toyota Highlander? The Toyota Highlander and its more upscale-looking cabin in higher trims is best suited for a buyer looking for a premium crossover without a luxury-model price. Ready to tackle your commute and to-do list around the Rochester, New York area in the 2019 Honda Pilot? Head down to Garber Honda serving the Pittsford and Henrietta areas today to test drive it. 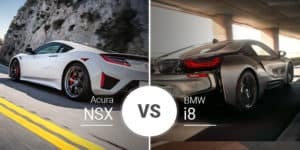 Can’t make to to Rochester today for a test drive? Swing by our online inventory page to see our in-stock 2019 Pilot models ready for our Pittsford, Henrietta, and Rochester area buyers and schedule a test drive later. **19 city/27 highway/22 combined mpg rating for 2WD 6AT trims. 18 city/26 highway/21 combined mpg rating for AWD 6AT trims. 20 city/27 highway/23 combined mpg rating for 2WD 9AT trims. 19 city/26 highway/22 combined mpg rating for AWD 9AT trims. Based on 2019 EPA mileage ratings. Use for comparison purposes only. Your mileage will vary depending on how you drive and maintain your vehicle, driving conditions and other factors.